Chaumet and Dior Joaillerie took advantage of this month’s haute couture shows in Paris to unveil their new high jewellery collections. Chaumet drew inspiration from far-off lands for its Promenades Impériales collection, while Dior’s Pièces Secrètes collection is an homage to French art de vivre and the Château de Versailles. Chaumet has since its founding nurtured close bonds with the creativity of far-off lands and their culture, inspiring some of the Maison’s most stunning jewellery pieces. Entitled Les Mondes de Chaumet, new high jewellery collection revolves around three precious moments – January, June and July. The first chapter in the collection, Promenades Impériales, pays tribute to Russia, capturing the beauty of the Siberian winter. Lace-like diamond motifs evoke snowflakes and Russian decorative patterns, lit up by the limpid blue of Ceylon sapphires. 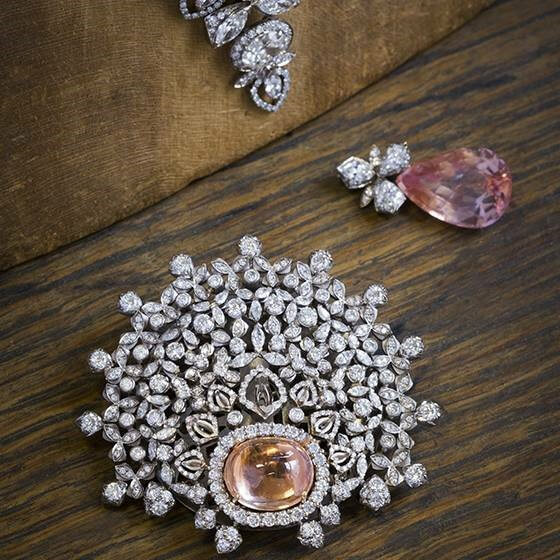 In other jewels, the orange-pink of the Padparadscha sapphires recalls the unique light of dawn or dusk. The set includes a transformable necklace, brooches, earrings, rings and a supple bracelet. Delicate necklaces in white or pink gold are set with diamonds or rubies. Rings become playfully mechanical, recalling antique jewels. 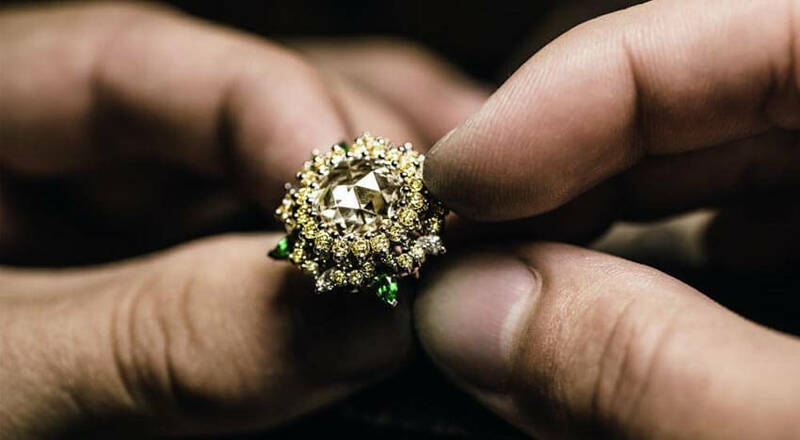 A diamond pivots on its axis to reveal a stone beneath a stone. 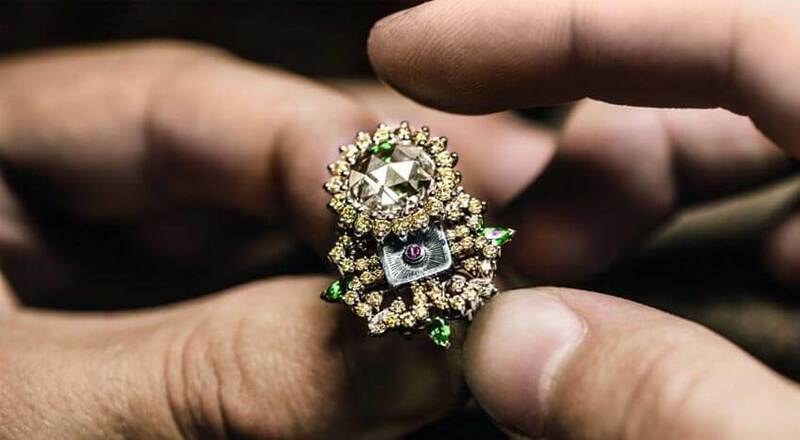 And a ring is fitted with a hidden drawer, bringing to life the dream of Versailles, the palace of secrets.